We’d love your help. Let us know what’s wrong with this preview of Omero e la storia by Pierre Carlier. 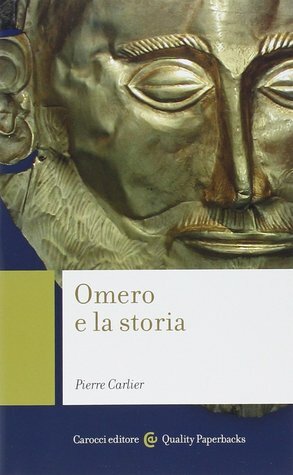 To ask other readers questions about Omero e la storia, please sign up. This is not, I repeat, THIS IS NOT A HOMER'S BIOGRAPHY. What it is is a very interesting analysis of Homer's "Iliad" and "Odyssey". It starts with a brief explanation of Greece's history which leaves us begging for more, followed by the said analysis and ending with the certainty that Homer's work can be read on a historical context despite its obvious fictional aspects. Since I read The Iliad and the Odyssey last year, and still have it fresh in my mind, reading this reminded me how good those s This is not, I repeat, THIS IS NOT A HOMER'S BIOGRAPHY. Since I read The Iliad and the Odyssey last year, and still have it fresh in my mind, reading this reminded me how good those stories are and made me look at some of the points I had overlooked.